The Eclipse's high-saturation red body color evokes the brilliance of the sun's halo flaring from behind the moon, Mitsubishi said. TOKYO -- Mitsubishi Motor will resurrect the Eclipse name in the new compact crossover it unveils at next month’s Geneva auto show, hoping to marshal memories of the popular sporty coupe that helped build the brand’s reputation for performance. Mitsubishi said Tuesday the new vehicle will be called the Eclipse Cross in nods to the coupe that was sold in the U.S. market and the popular crossover utility segment. The vehicle’s design will be as stunning as its namesake astronomical event, it promised. 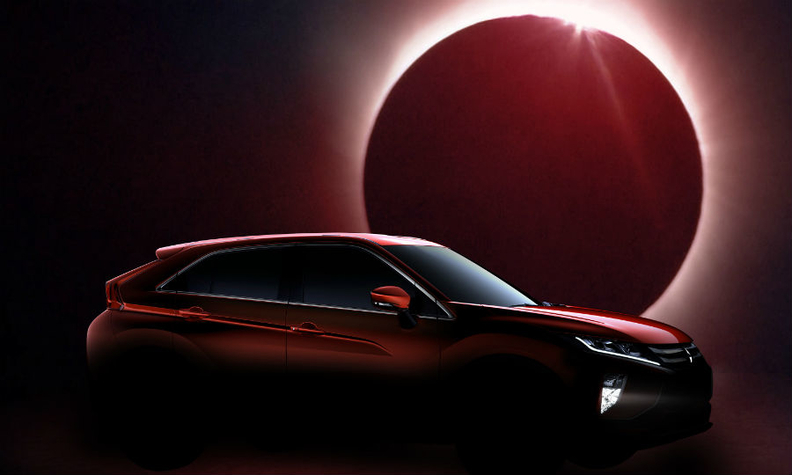 "The Eclipse Cross's beautiful, dynamic form serves to bring about the same sense of excitement and inspiration as the diamond ring seen immediately before and after a total solar eclipse does,” the Japanese carmaker said. The new vehicle’s high-saturation red body color, Mitsubishi added, will evoke the brilliance of the sun’s halo flaring from behind the moon. A rendering of the upcoming crossover shows a sportback silhouette with an aggressive character crease cutting under the windows from the rear tail lights forward to the front doors. Mitsubishi began selling the Eclipse in 1989 and eventually introduced a Spyder variant, both of which were manufactured at its U.S. assembly plant in Normal, Illinois, the company’s only factory in the North America. But the carmaker ended production of the nameplates, along with Endeavor SUV, in 2011 in an effort to cut costs and reconfigure its lineup around utility vehicles. Mitsubishi later pulled the plug on the entire plant, shuttering it last year. The Eclipse Cross will be a competitor to models such as the Nissan Qashqai and will line up alongside the ASX and the Outlander.